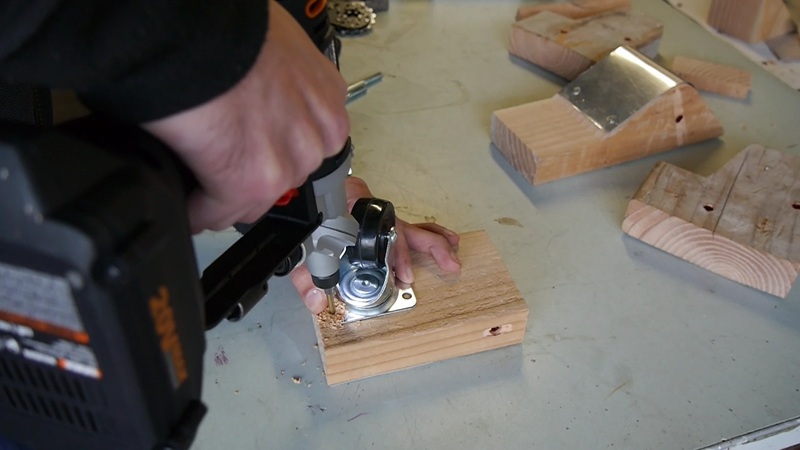 Now that you’ve purchased heavy shop tools, you can make them mobile with a mobile tool base. The function of a mobile tool base is to allow your heavy shop tool to gain mobility so you can move it where you need it be. In most cases users wheel out their shop tool to use it and then wheel it near the wall for storage when they’re done. 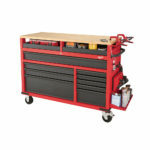 This helps you store your tool when not in use and to move it to a more convenient location for use. Mobile tool bases have casters that allow them to move about and offer a way to lock down the tool so it stays put to operate the tool. 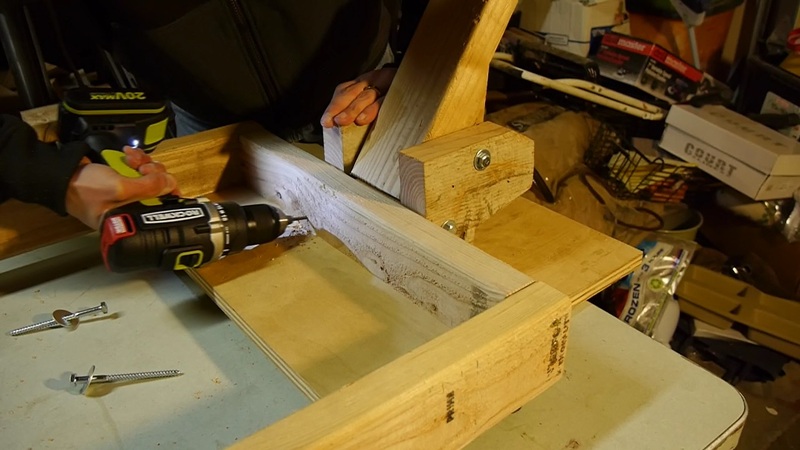 In this article I’m going to show you how to make a mobile tool base of your own instead of purchasing those expensive models you see online and hopefully you save yourself a bit of cash and have fun doing so along the way. Before we get down to it, I’m going to give you a little bit of info on my version of the mobile tool base. This is a 3 wheeled base made with 2x lumber and plywood and features a foot activated lift mechanism. It’s nothing fancy but yet it’s not repulsive either. It rides on 2 fixed casters at one end with 1 rotating 360 degree castor on the opposite end to be able to turn as you move it around. I also incorporated 2 leveling feet on the side of the lifting mechanism so that you can keep your tool level when it is in use. Before assembling the base, you must gather all required materials. When choosing casters, carefully choose casters that are strong enough to hold your heavy shop tool. Since there are 3 wheels, each wheel will need to distribute the weight of your equipment. Although they don’t all divide the load evenly. 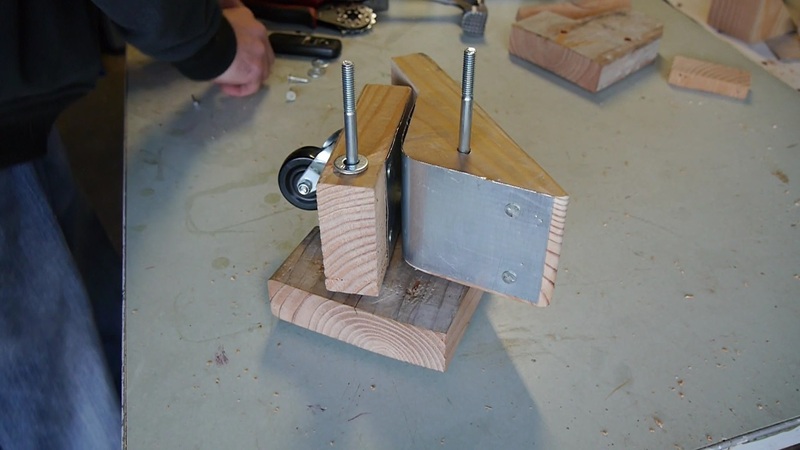 The two fixed casters will carry half the load (so technically each of these fixed wheels is carrying half of half the total weight of the tool), and the single rotating caster will carry the other half of the weight of the tool. Make any sense? This is because the sets of casters are on opposite sides, so each side will carry half the load. When selecting fixed casters, make sure that the COMBINED rated capacity is atleast a little over half of the weight of your tool, and for the single rotating caster, make sure it’s rated for atleast a little over half the weight of your tool. Preferably you’ll want to get matching sets of fixed and rotating casters so they are all the same height. And another note before you start your mobile tool base build based on this design. 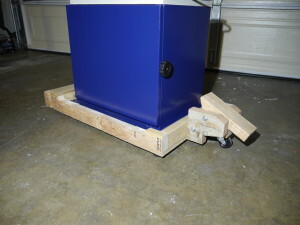 Keep in mind that I designed it for use with 2 inch casters with a total height of 2-1/2 inches for each caster. If you are going to be basing your build from these plans, I highly suggest to go with 2 inch casters so you don’t run into any problems. Smaller casters using this design would mean theres a chance that the wheels wouldn’t make contact with the floor, or larger wheels would elevated the fixed wheels too high off the ground and the rotating caster might lift the frame off the ground even when in the parked position. I’m not saying don’t use different size casters, feel free to use different sizes but you will need to modify certain components of the frame and the lifting mechanism for the difference in height of different sized casters. If you feel up to the challenge of using different size casters and making it work, by all means go for it, although I don’t have the time to help you troubleshoot when you run into problems. 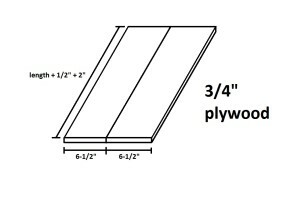 In the future I might supply templates and instructions for use with larger casters such as 3 inch casters but for now, make the best use out of these plans based on 2″ casters. Enjoy! 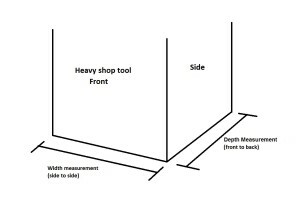 Measure the base of your shop tool. This is the bottom part of your shop tool that will sit on top of the mobile tool base. 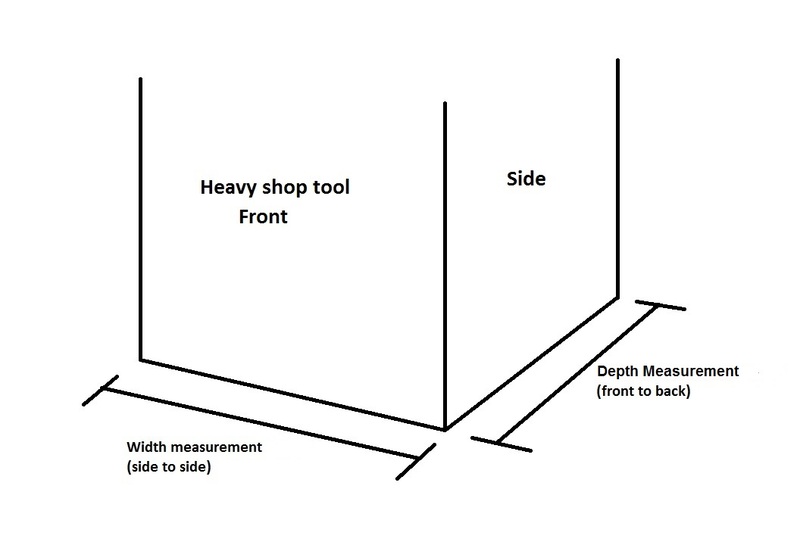 All we need here is the width (side to side) measurement and the depth (front to back) measurement and add an extra half inch to each of these measurements. 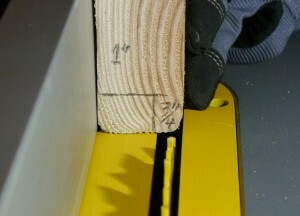 Then add an extra 6-1/2 inches ONLY to your width measurement. 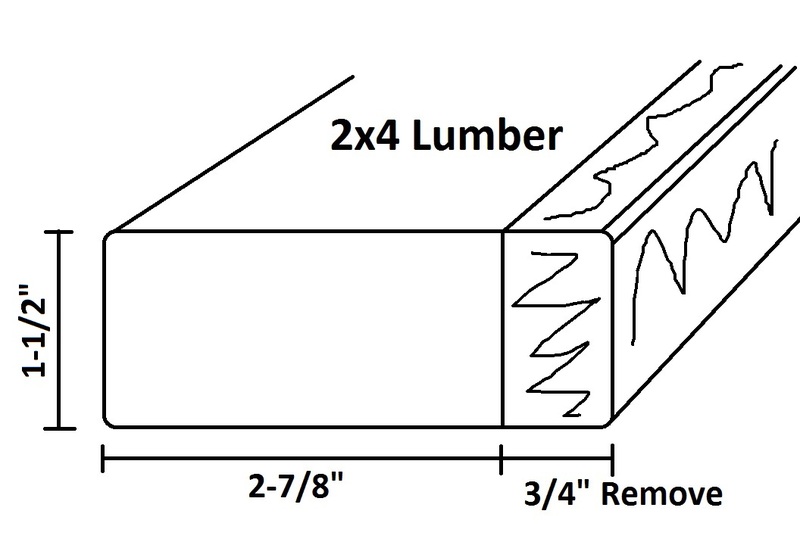 Save these final measurements as the following steps will refer to the final measurements from this step. 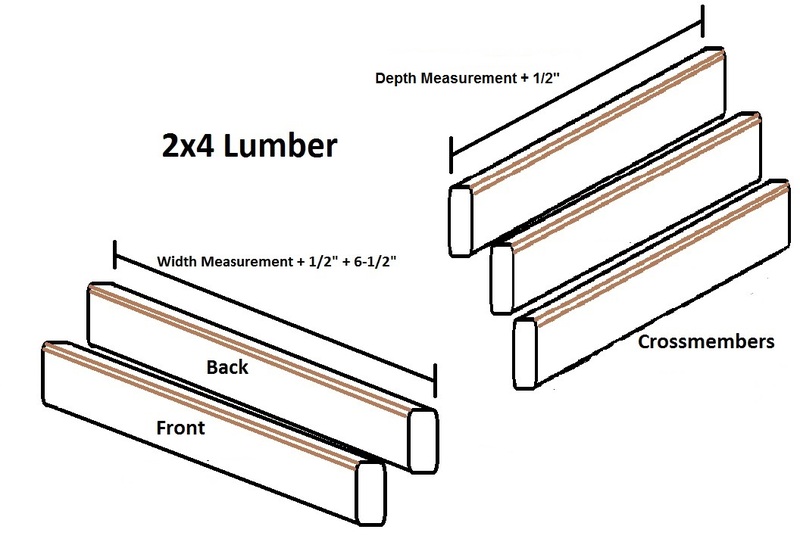 Make 2 identical cuts into 2×4 lumber with your width measurement from step one (these will be your front and back frame members) and make 3 identical cuts also using 2×4 lumber with your length measurement from step one (these will be your crossmembers). 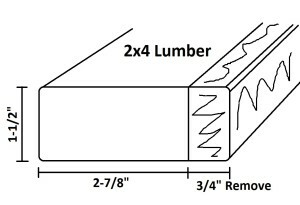 Make a 1 inch tall by 3/4 inch wide rabbet into both front and back frame members as shown below, and also make the same rabbet cut into ONLY ONE crossmember piece. Place these pieces aside for now. On another crossmember piece cut 3/4 inch off. 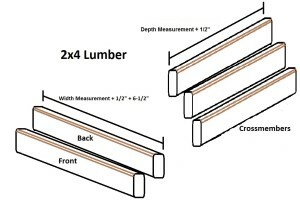 This will leave this crossmember piece with a dimension of 1-1/2″ thick x 2-3/4″ tall. Place this piece aside for now. Using the final depth measurement from step one (the final length measurement is the original depth measurement plus 1/2″), add an extra 2 inches to this measurement. This will be the length of the plywood boards. 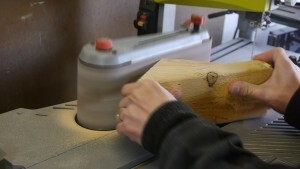 Make the width of the boards about 6-1/2 inches and make 2 identical cuts into 3/4″ plywood. Now you should be left with 2 identical front and back frame members with rabbets, 1 crossmember piece with a rabbet, 1 crossmember piece with 3/4″ removed (this piece is from step four), one unmodified crossmember piece, and 2 plywood boards. These pieces make up the frame of the mobile tool base. Now it’s time to assemble the base. 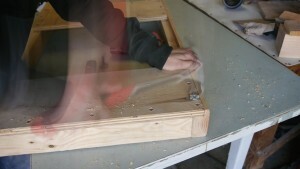 Place the 2 plywood boards down and spread them apart. 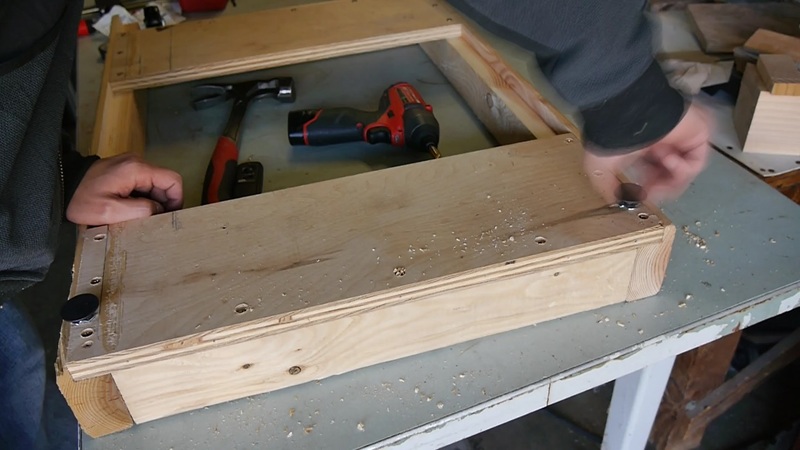 Place the crossmember piece from step 4 on the left side of left plywood board with the cut side facing down. Grab the 2 front and back frame members and place one in the front and place one in the back with the rabbet grooves sitting over the plywood planks. 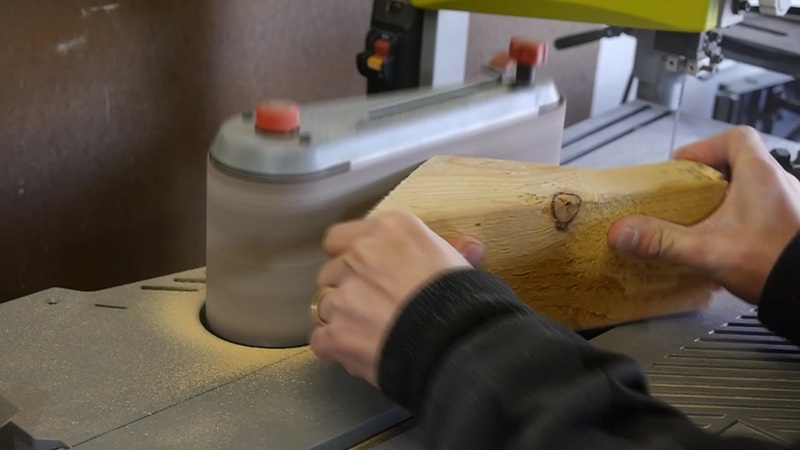 Then place the crossmember with the rabbet groove over the right side of the right plywood place with the rabbet groove sitting over the plywood. 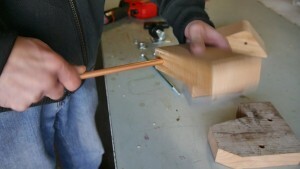 Then clamp down the left side and tighten. Then clamp down the right side but don’t tighten all the way, leave enough slack to allow the placement for the last crossmember. Then place the last crossmember on the right side of the frame touching the crossmember with the rabbet groove. Place this crossmember towards the top of the frame. I added a couple of clamps to clamp these 2 crossmembers and then tapped them in place with a hammer. Then tighten the right clamp down all the way. When done correctly, the mobile tool base will have an opening the size of the base of your shop tool plus an extra half inch for wiggle room. Watch the included video if you need help in this step. Using 3 inch #8 gold screws fasten all the crossmembers in place. On the front and back frame members, predrill 3 holes and drive 3 screws where each crossmember connects. 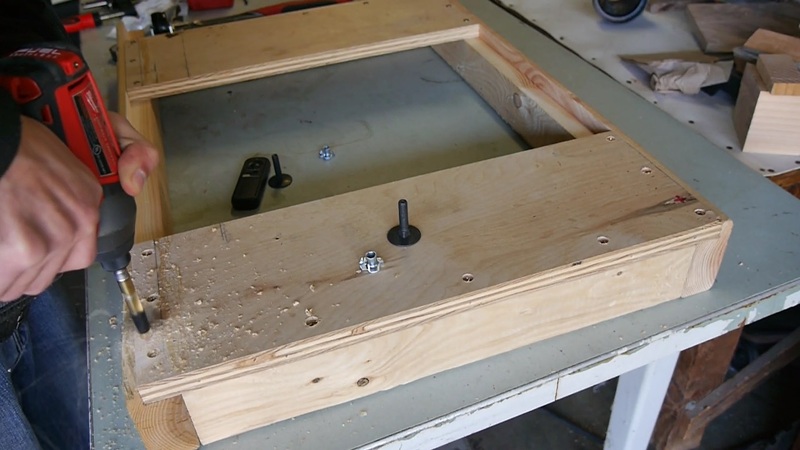 Flip over the mobile base and fasten both plywood boards into the frame with 2 inch #8 gold screws. Make sure to predrill before driving each screw. On the under side of the crossmember to the right, place the 2″ heavy duty fixed casters – one towards the front and one towards the back, each one facing with the wheels facing left and right. Pre-drill and drive four 1″ x 1/4″ lag screws to attach each caster. 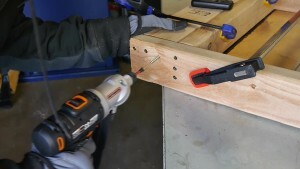 On the opposite side of the base (while the base is still upside down), using a 3/8″ drill bit, drill two holes 1-1/2 inch deep towards the end of the front and back of the frame. Then place the T-Nuts over these holes and hammer them into place. Then insert the elevater bolts by threading them in. 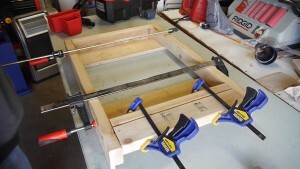 Flip over the mobile tool base and now the frame is completed. All it needs now is the lifting mechanism. Now we’re going to build the lifting mechanism. 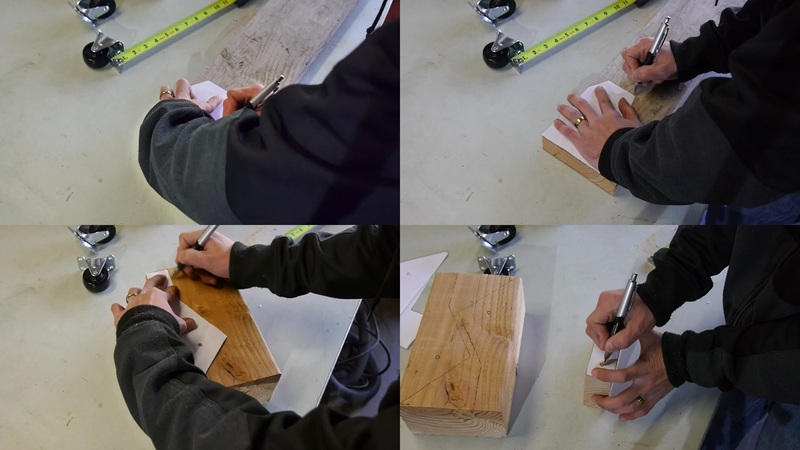 Grab your 2×6″ and make two cuts 6-1/8 inches wide. 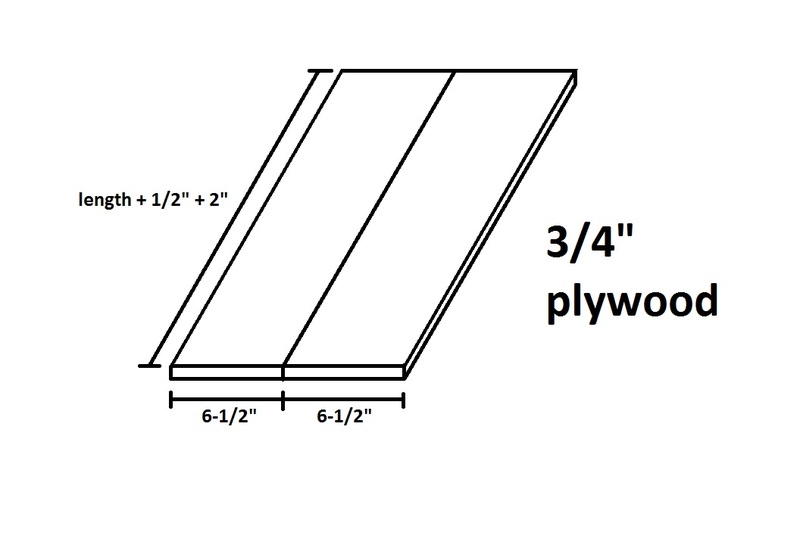 Grab your 4×6 and make one cut 9-1/4 inches wide, and grab a 2×4 and make a cut 5-3/4 inches wide. Download and print the templates used for this build and cut out each shape, including the holes. Then place the templates over the pieces you cut from step 11. 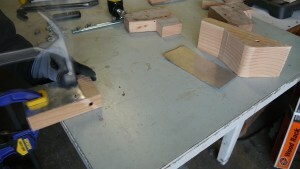 The lifting mechanism side template goes over the two 2×6 cuts, the foot lever template goes over the 4×6, and the caster assembly template goes on the side of the 2×4. Trace the shape and mark the holes for the lifting mechanism side template and the foot lever template. Theres no need to trace the caster assembly template, this template is used to mark where to drill the hole, so mark where the hole is. 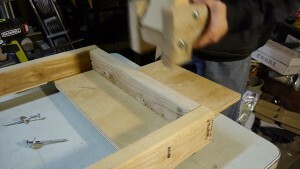 Cut out the shapes for the foot lever and lifting mechanism sides with your bandsaw. 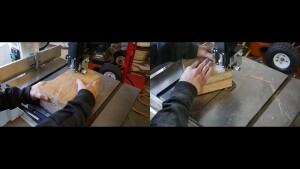 Take the foot lever to the belt sander and sand these two corners. 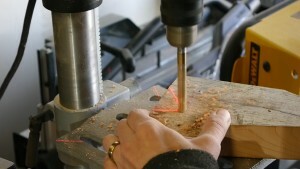 Using a 3/8″ drill bit, drill out each hole with your drill press. Insert the 1/4″ copper pipe into each hole you just drilled. The fit should be tight so be prepared to use some elbow grease. 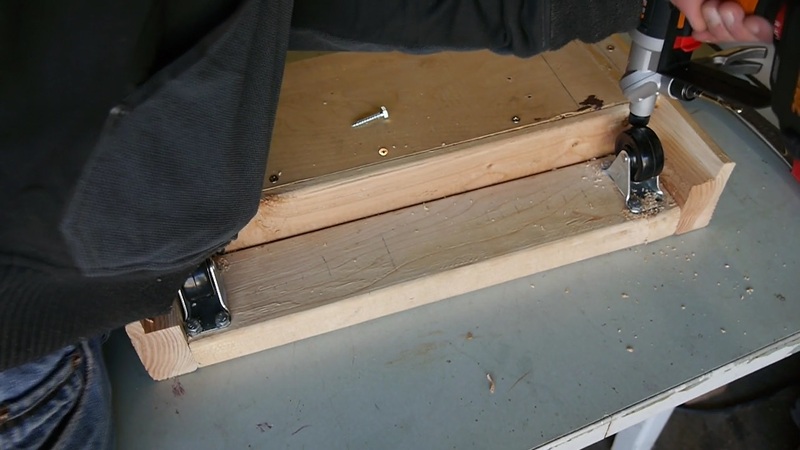 Cut the overhang of the pipe with a reciprocating saw equipped with a metal cutting blade. 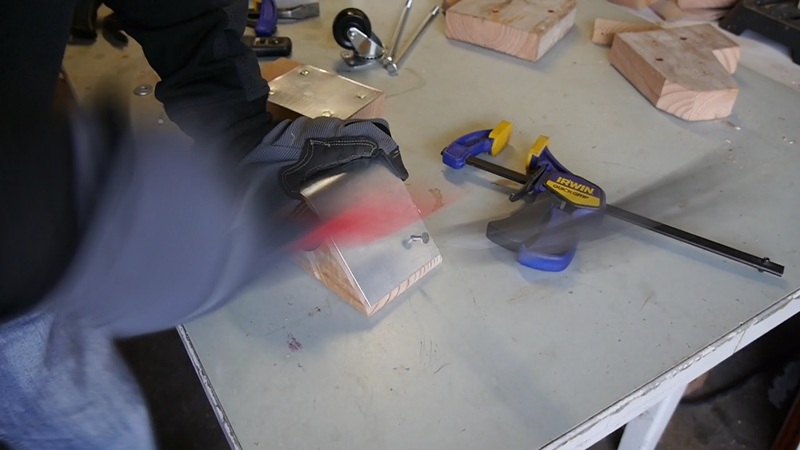 Grab some sheet metal and using some tin snips also called aviation snips, cut out 2 pieces. 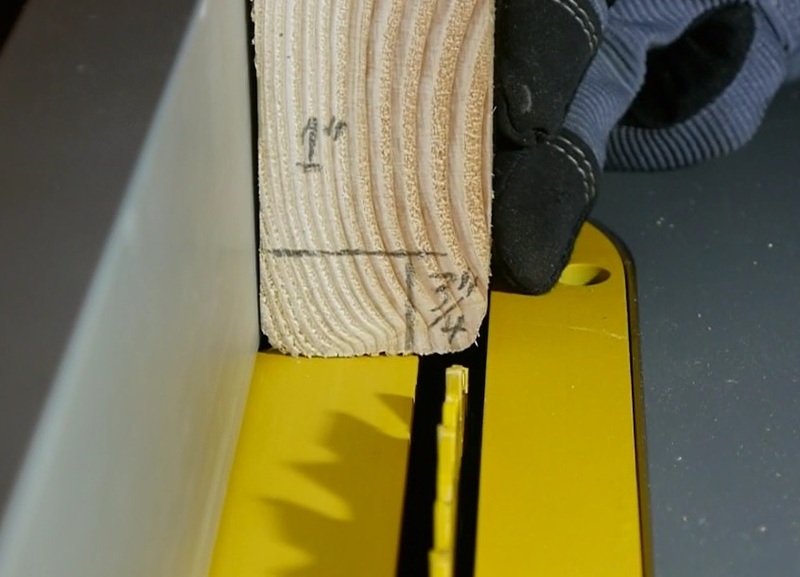 One piece will measure 3-1/4″ x 4-1/2″ and the longer piece will measure 3-1/4″ x 7-1/2″. 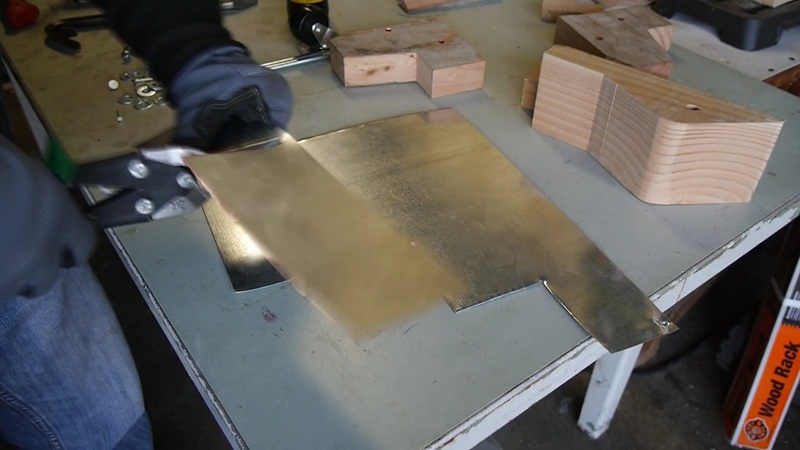 Wear gloves and make sure not touch the edges of the cut sheet metal since it’s very sharp. Place the smaller sheet metal piece over the 2×4 that makes up the caster assembly. Place it on the end opposite of the side with the hole. Then clamp down and nail into place with 4 nails. Place the larger sheet metal piece over the rounded part of the foot lever and bend it over the the bump. Remove the sheet to bend even further. Then place the bent sheet metal over the foot lever and nail into place with 4 nails. Grab the caster assembly, flip it over, and place the rotating caster on the end opposite of the hole. 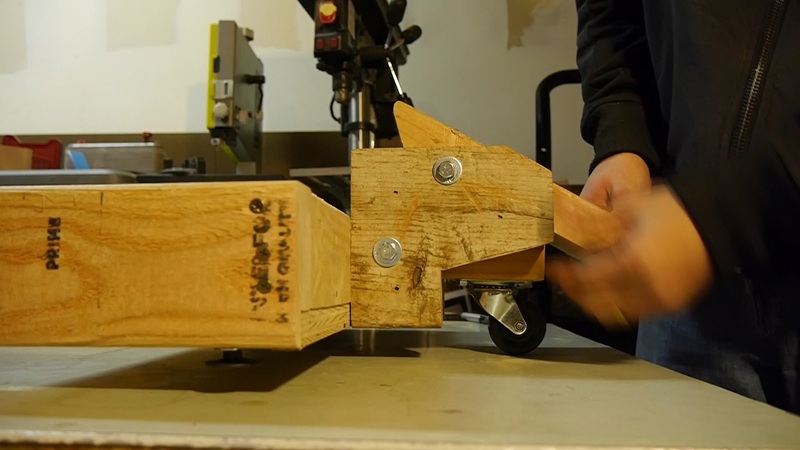 Attach this caster by predrilling and driving four 1″ long 1/4″ lag screws. Now its time to assemble the lifting mechanism. Grab the two 8 inch long 5/16″ lag bolts and insert one 5/16″ washer in each bolt. Then insert both bolts into the left side of one of the lifting mechanism side pieces (the piece cut out from 2×6) and place this piece down with the bolt heads underneath and the bolt threads facing up. Then insert two 5/16″ washers into each bolt, yes 2 washers for each bolt. Then slide the foot lever on the top bolt. Then slide the caster assembly on the bottom bolt. Next, insert another 2 washers over each bolt. Then place the right side of the lifting mechanism. Insert the last two 5/16″ washers, one in each bolt and then add the 5/16″ lock nuts over each bolt and tighten. Make sure to tighten everything snug but yet loose enough so the caster assembly and foot lever can move easily. Next we need to attach the lifting mechanism onto the frame of the base. Place the lifting mechanism assembly on the opposite side of the fixed casters and it also must be in the center of the side of the frame. The bottom of the lifting mechanism must be flush with the bottom of the frame. To help with this, I used a scrap piece of plywood underneath both the frame and the lifting mechanism so both would be flush with each other. Attach the lifting mechanism to the mobile tool base frame with the 3-1/2″ long 1/4″ lag screws. Predrill and drive the first lag screw, then predrill the last 3 lag screws and drive them all in. A word of caution – make sure to avoid drilling into the bottom lag bolt. When drilling the bottom lag screws, drill each hole at a slight angle facing down, and the top two lag screws drill the holes a a slight angle facing up. This will help avoid running into the lag bolt. 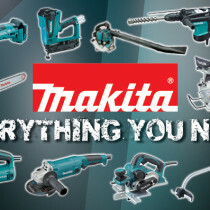 Your mobile tool base is now complete! Test it out and make sure everything functions. The pressing down on the foot lever raises that side of the frame off the ground allowing the wheel to make contact and to be able to move around freely. Lifting the foot lever lowers the frame on the ground and rests on the elevator bolts and now can’t be moved around freely. 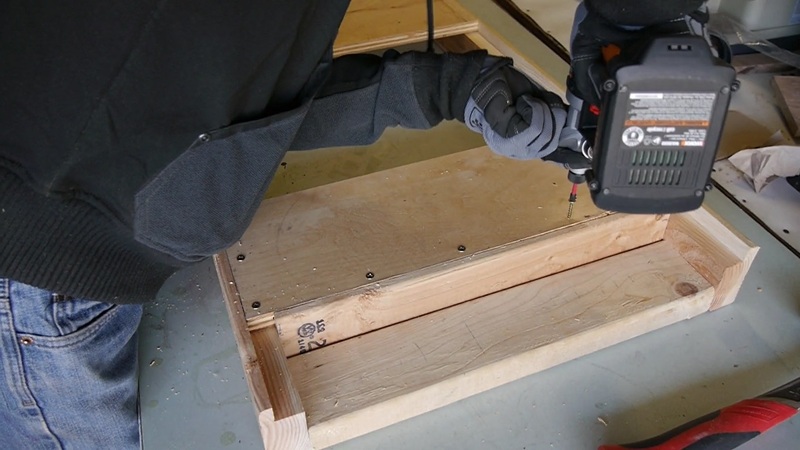 Once everything is done, mount your heavy shop tool on the base and adjust the elevator bolts so that the base is level when the frame resting on the floor. So after building 2 sets of these mobile tool bases, I appreciate the ability to make my heavy bandsaw and jointer mobile. The larger 3 inch caster wheels on my jointer mobile tool base do run smoother and turns better although I’m not sure if this is due to the larger wheel size or because the jointer weighs considerably less than the bandsaw. Also on both mobile tool base’s I built, if you turn the units too sharply, the single wheel side tends to tip on occasion. 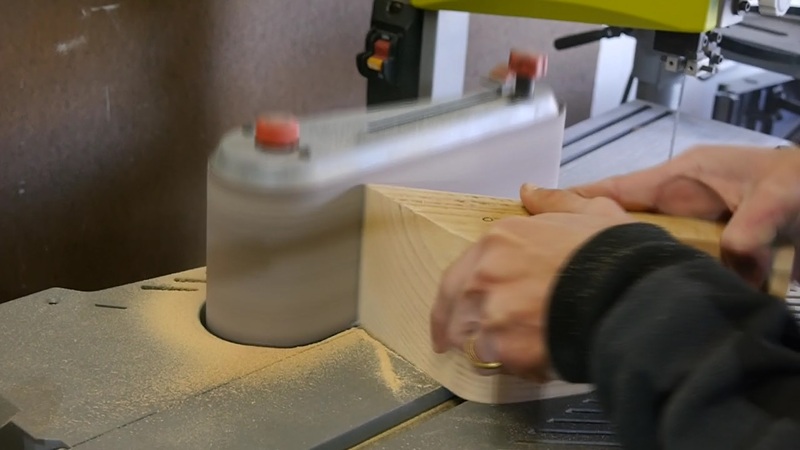 You don’t have to worry about the actual tool tipping over since the the base sits very close to the ground and the side corners of the frame catch the floor preventing the tool from tipping over anyway. But this is only if you turn the base too sharply and quickly. It rides and turns good most of the time. 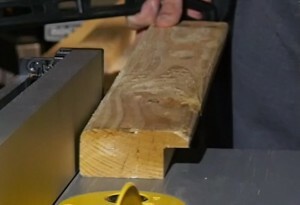 I bring this up because if this will be an issue for your build, the easy solution is to build 2 lifting mechanisms and place them closer to the outside corners instead of one smack dab in the center. If you end up building a mobile tool base based on this design, I would love to see it. Email me a picture and I’d love to post it below for all to see. Thank you Javier, for a practical, fast, and efficient mobile base. I’m a musician who don’t have a lot of time to spent on making a quality stand. Your fit my needs perfectly. 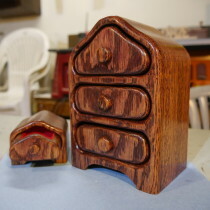 I have the wood and a little time and your design will last a life time. Thank you for sharing. Note: I have found that 3in. wheels on mobile base units are easier for me to move and control. I will be installing 3″ high quality wheels using parts of your design. Thank you for everything. You have a well organized web page, keep up the great work. That’s pretty smart! Simple is always better.